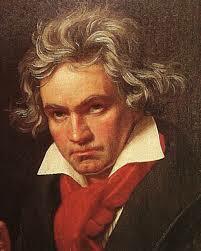 Music plays an important part in The Bell Between Worlds, and in the trilogy as a whole. That’s partly because music has played an important role in my life. My father, Alan Johnstone, was an accomplished, self-taught pianist, and throughout my childhood I went to sleep listening to him playing on our Bechstein upright piano in the lounge downstairs. His particular loves were Chopin, Gershwin, Beethoven, Rachmaninov and Satie, but he turned his hand to most kinds of music. Except jazz. Jazz he revered too much to attempt himself. Anyway, perhaps because music lulled me into my dreams, it occupied a magical place in my imagination, and I still find it helpful to listen to music when I am inventing the most magical of scenes. Music can be so evocative – so transporting – that I truly believe that it is a kind of magic all of its own, taking us away from humdrum normality just as effectively as any creation of fiction. I wanted to try to capture this and if possible, use that mystical quality of music to add an additional dusting of magic to Sylas’s journey. Sylas hesitated for a moment with his hand on the door handle and his face pressed against the wood, listening to the doleful, haunting notes of the piano. It was beautiful, and yet also unutterably sad. A deep, resonant note chimed every few beats like a call to mourning while above a triplet of notes repeated over and over, sometimes rising and falling, but always in time with the irregular, heartbreaking chime, like the sound of loss or regret. A simple lilting melody laced the music, but while it was at times light and always gentle upon the ear, it carried tidings of sadness. The second piece of music comes a few pages later in Chapter 39, Nature’s Song. Here I needed music to evoke drama and energy as Sylas discovers his natural mastery of Essenfayle. 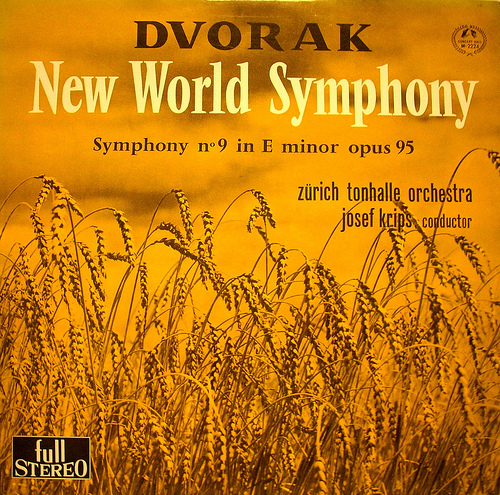 When I first thought of the piece it seemed too good to be true, because it coincidentally had the perfect name: The New World Symphony by Dvořák. But it proved to be the perfect accompaniment to Sylas as he stands on the deck of The Windrush, conducting all the elements and things of Nature. As I wrote, I listened to this piece over and over again, matching the action to the music, trying to make the one connect seamlessly with the other. It was in listening to the music that imagined details like the white feather acting as a delicate counterpoint to the drama out on the estuary, and that vast wave that closes the scene. 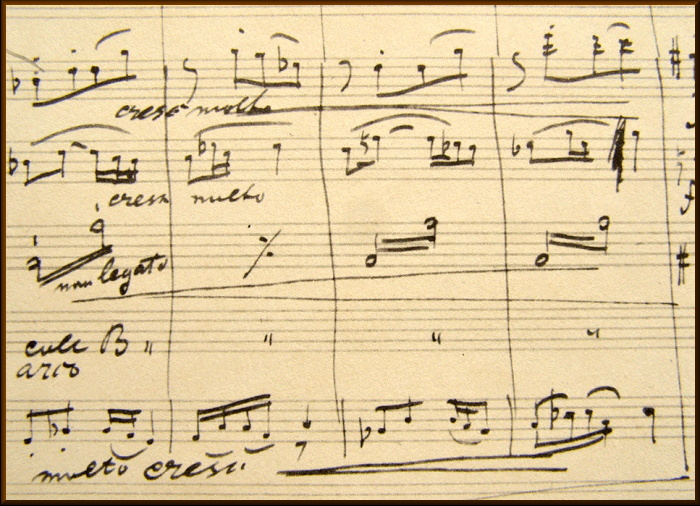 In that sense Dvořák’s music very much created the chapter, giving it structure and pace, but also a very special magic. You could say that it inspired me just as it inspires Sylas to weave the wonders of Nature. Suddenly their eyes flew to the brass horn of the gramophone as a chorus of violins erupted from the darkness at its centre, issuing a series of pulses then quick-fire, staccato notes. When they looked back at Paiscion, his arms were raised above his head, poised in readiness. And then he began. First came the quick melody of a single flute and, as its opening note sounded, so the Magruman’s left hand moved, darting to one side. In the same instant a single white seagull feather leapt from the deck and launched itself into the air, fluttering this way and that as though carried on the wind. But it did not drift away or fall back to the deck. Instead, as the sound of a horn joined the flute, it began to dance in time with the minute movements of Paiscion’s hand. Then, as the violins took up the melody, it rose in the air, twisting and twirling until it quivered directly before Sylas’s eyes. Absolutely hyped for the last book of the Mirror Chronicles- The Bell Between Worlds is quite likely my favourite book ever, it was a truly fantastic piece of writing. So, when can we expect this much awaited finale to the trilogy, so I can start counting down the days, and any hints as to what will happen? Thank you for getting in touch, Finn. It’s so good to hear that you liked The Bell Between Worlds. The third book is written and just entering editorial, but I’m afraid it is not due to be published until next summer. What can I tell you about it? Well, it is without doubt the biggest and most ambitious instalment of the three, with multiple storylines that sprawl across both worlds. There is plenty more on the significance of Glimmers and the origins of the rift between the worlds. There are quests, intrigues and confrontations for Sylas, Naeo, Simia and the other main characters. There are dalliances with ancient Egypt, and myths, and scripture, and a touch of philosophy. And there is all-out war. I hope you will enoy it when you finally read it – perhaps enough to forgive the wait! Thank you, it sounds brilliant! I eagerly await the publishing date- best of luck with your future writing!